I was lucky as a child to grow up playing in the woods. 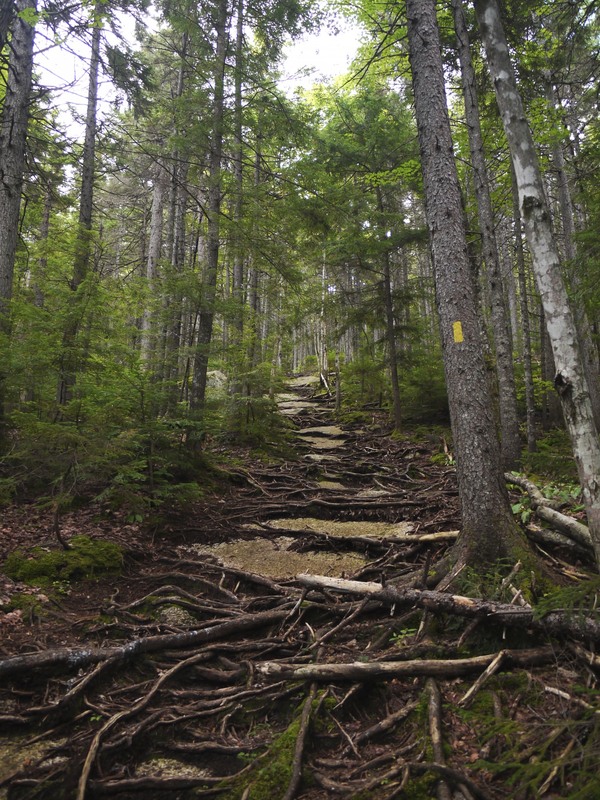 I spent endless hours following trails, jumping brooks and exploring the forest around me. I am happiest as an adult being in a beautiful forest, if it leads me to a grand summit, I consider that a bonus. Today hikes to Mt. Potash brought back my inner child and it had the bonus of a stunning view at the summit. Mt. 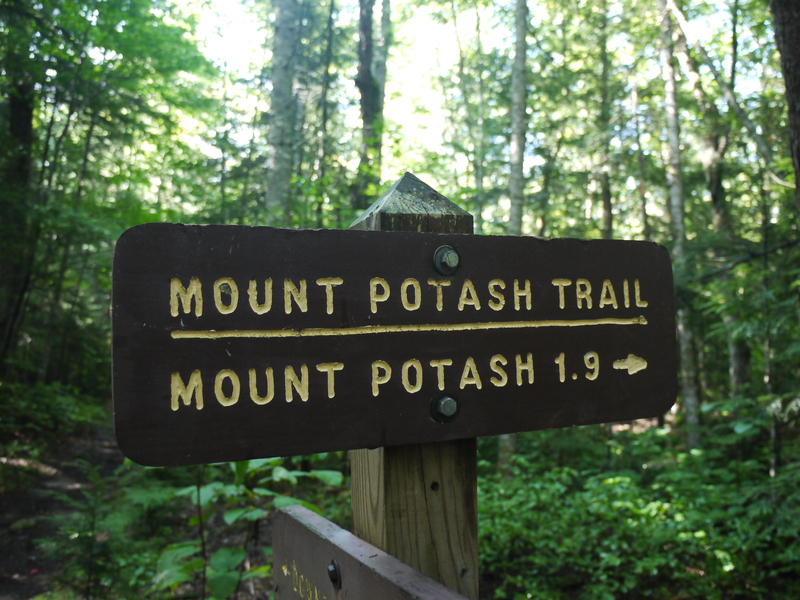 Potash starts off at the parking area off of the Kancamagus Highway. 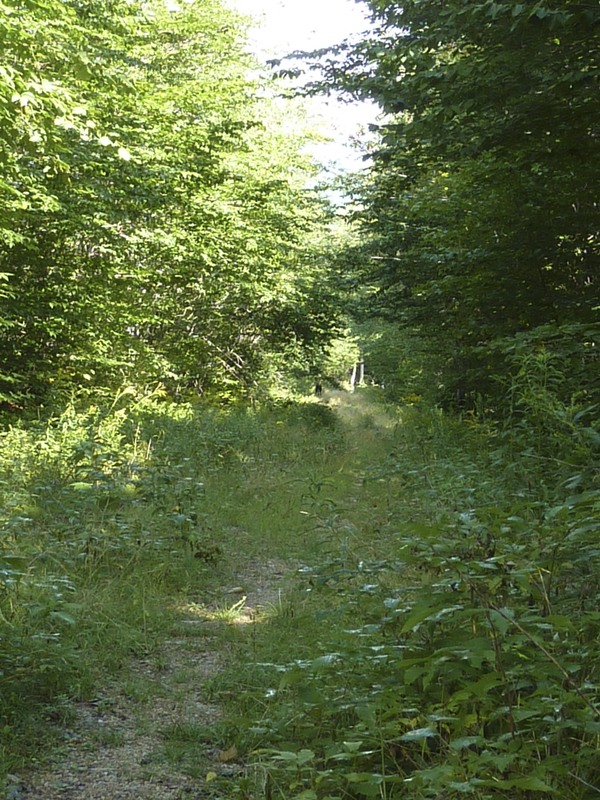 The trail begins at .3 miles from the parking area on Downes Brook Trail. Immediately you enter a beautiful forest and as we were to discovered it had many little treasures to see along the way. After a short walk you meet up with Downes Brook. It wasn’t flowing very strong, making it a simple crossing. If it is flowing and dangerous to cross you can get back in your car and go about .6 miles down the road to a logging road and hike in from there. 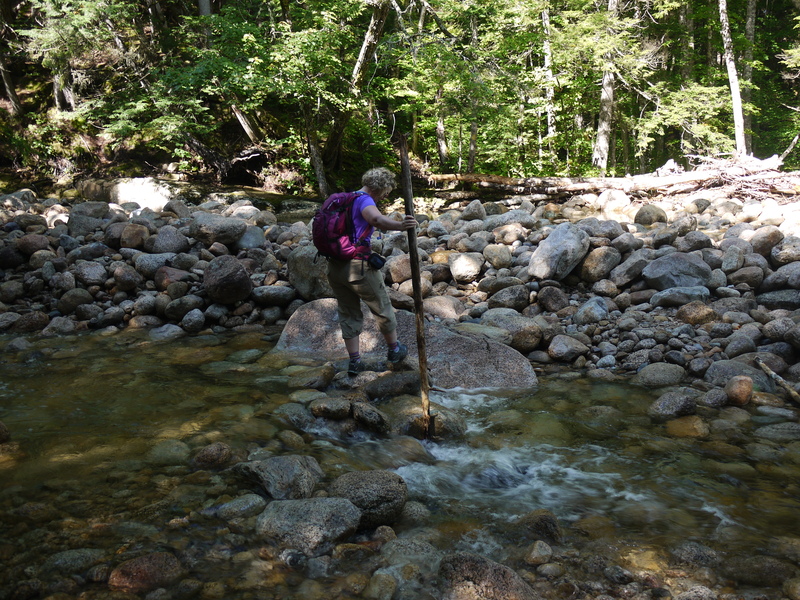 After the brook, we crossed a grassy logging road. I glanced down the road and noticed something brown standing about 100 feet away. At first I thought it must be a sign, but the longer I stared at it, I thought I saw it move. See that little brown dot down there? Mike advances to investigate and he whispers “moose”. 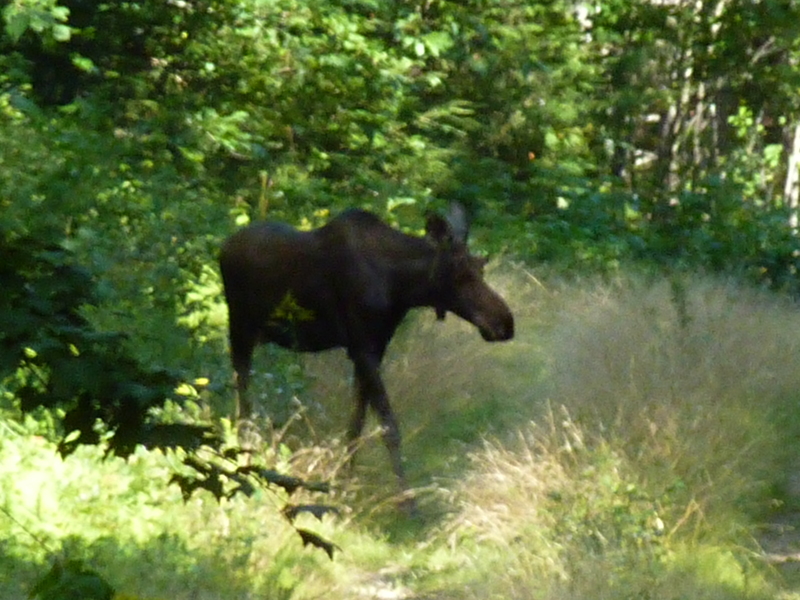 We have our first official moose sighting on a trail. Being ever respectful of this creature and wanting to stay safe, we remained far away and zoomed in to snap photos of our first moose. Then he started to advance on us, we decided to cross the old logging road and let him be. Of course after spotting a real moose, I then had moose mirages throughout the hike. 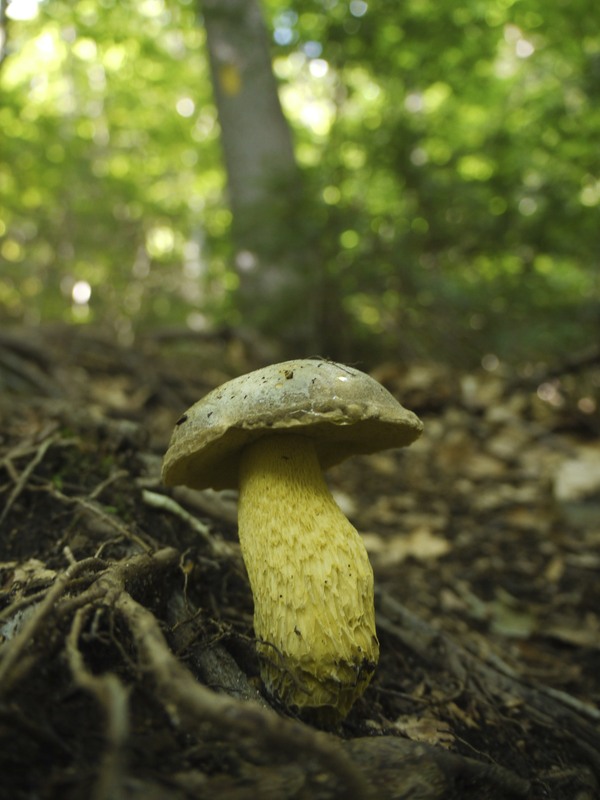 The trail to the first ledge was full of little wonders, from stunning spider webs to an assortment of fungus. 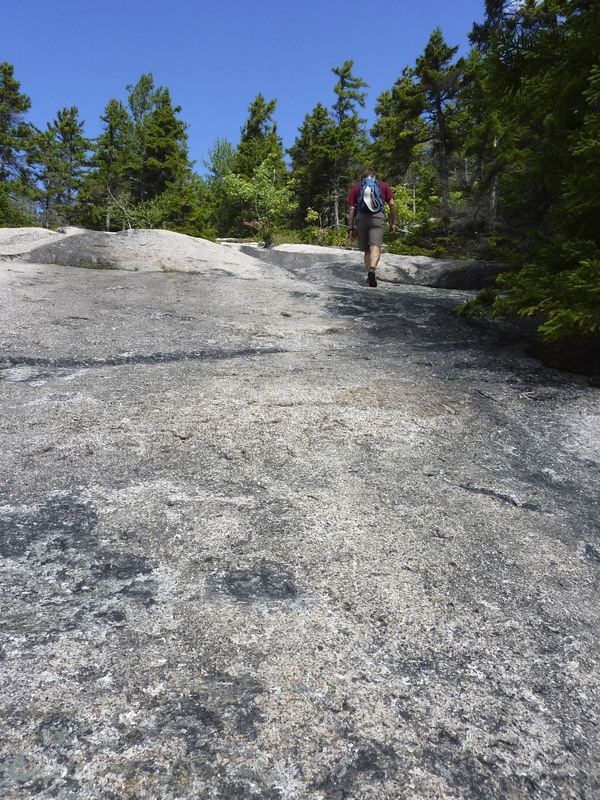 The grade was never demanding or very steep up to the first ledge. 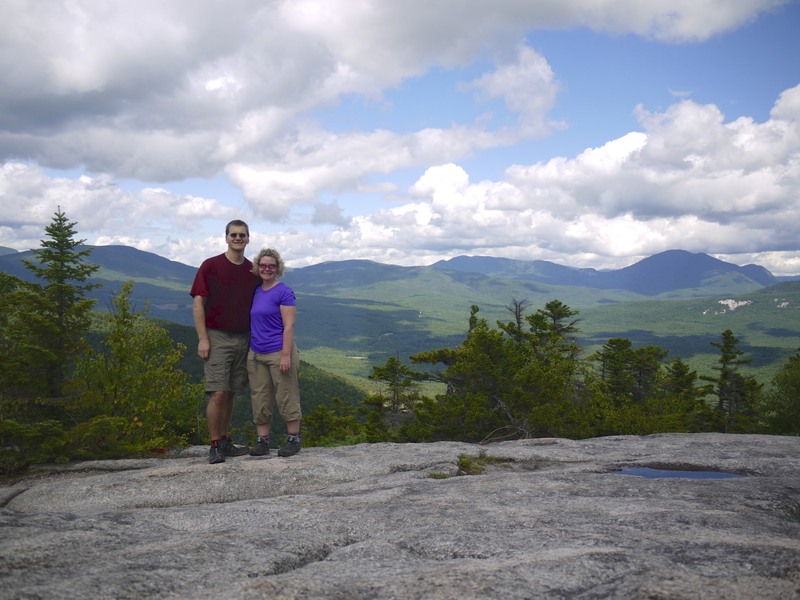 We then arrived at our first ledge which offered beautiful views. 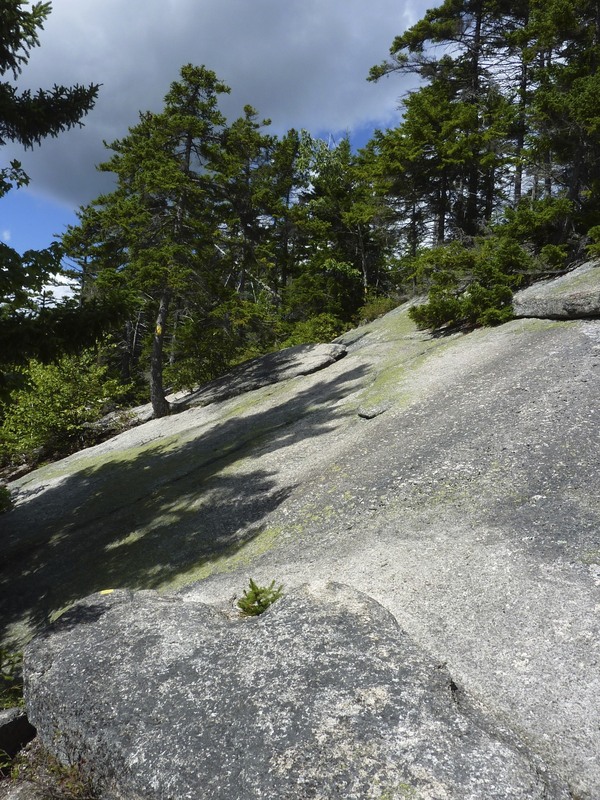 Leaving this ledge, the trail gets a bit steeper and you are hiking up rock slabs to the summit. I wouldn’t walk up this if it were wet. I would be content with the first views. The effort to get up the slabs was worth it. 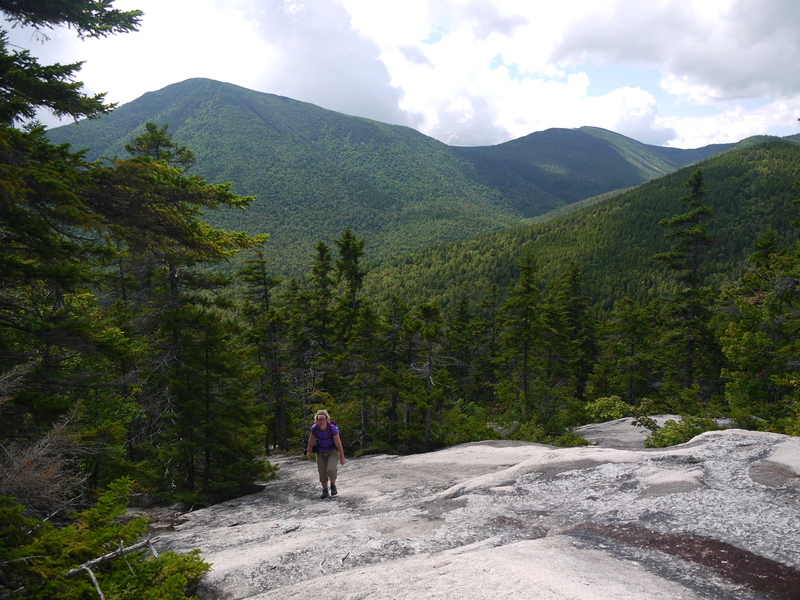 The views of the Sandwich Range and the Presidentials were unbelievably beautiful. After a snack and just soaking in the views, we headed back down the trail. We were a little slower than book time, but that was because there was so much to discover on the forest part of the hike. We took our time noticing the small beauties around us. This hike brought me back to my childhood, a wonderful forest, a brook to cross, rocks to scramble up and the bonus of outstanding views. 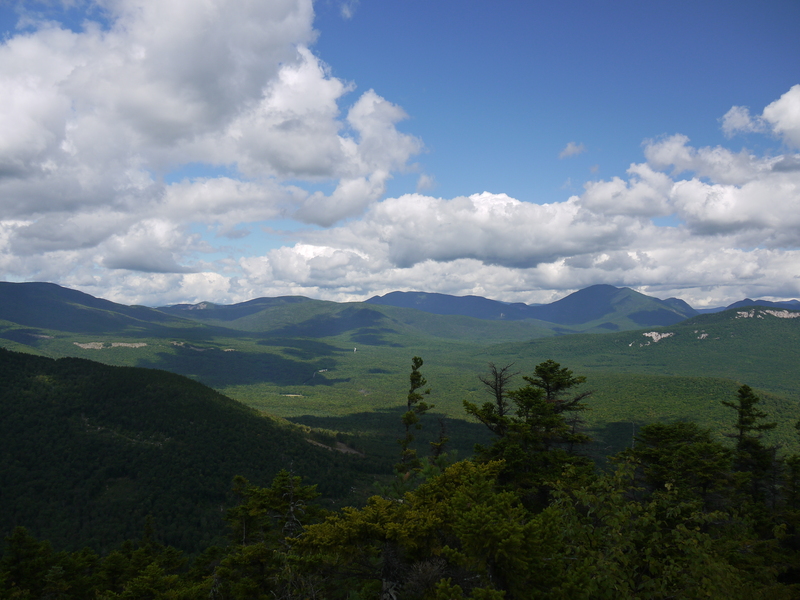 The Details: 4.4 miles round trip, elevation gain of 1400 feet, 3.5 hours including stopping time. 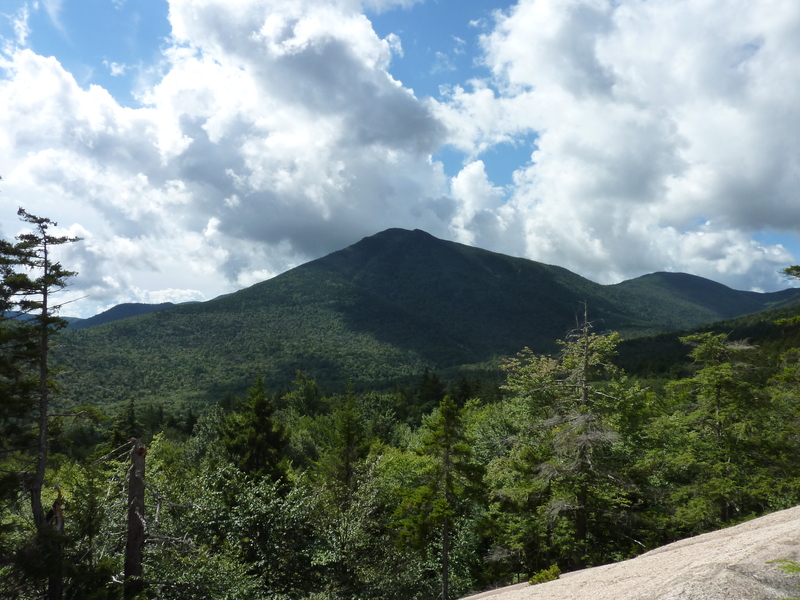 For hiking in the white mountains this was a fairly easy hike. 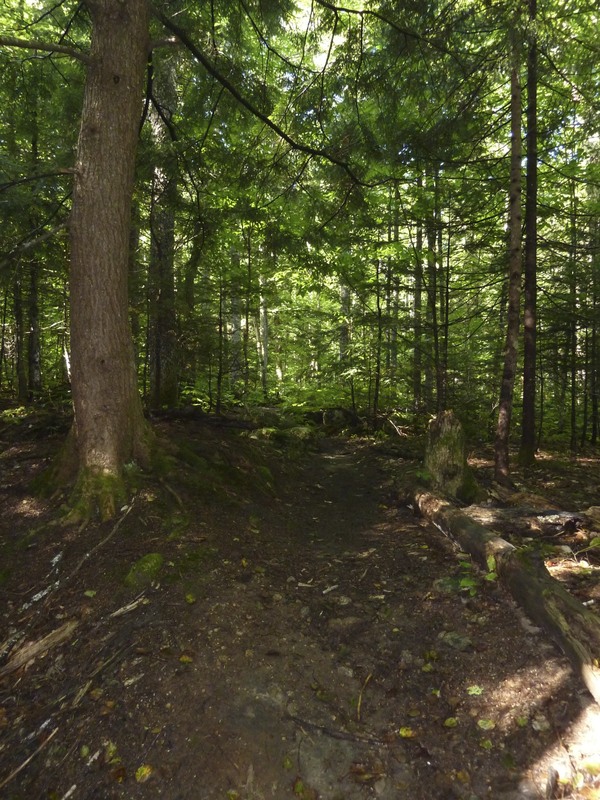 Beautiful forest hike with limited views out, until you reach the first ledge opening and the summit with stunning views. Beautiful, Ann! I love the moose sighting and the subsequent “Moose Mirages”. (Sounds like the name of a strong drink, I think…something like Pink Elephants.) Thank you for sharing your beautiful photos and story along the way. Sarah, glad you enjoyed “moose mirages”. I was hoping someone would get a kick out of that. 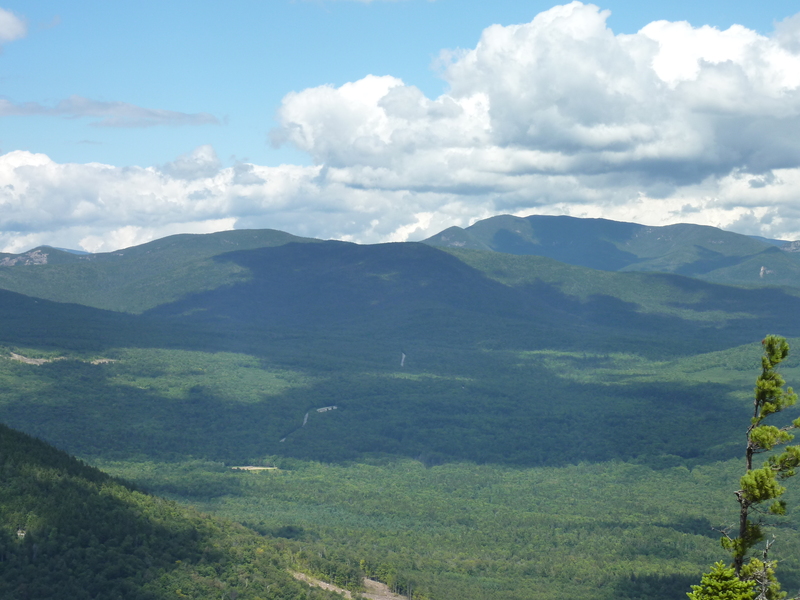 Have done that hike, great views…nice pics. Love the moose.